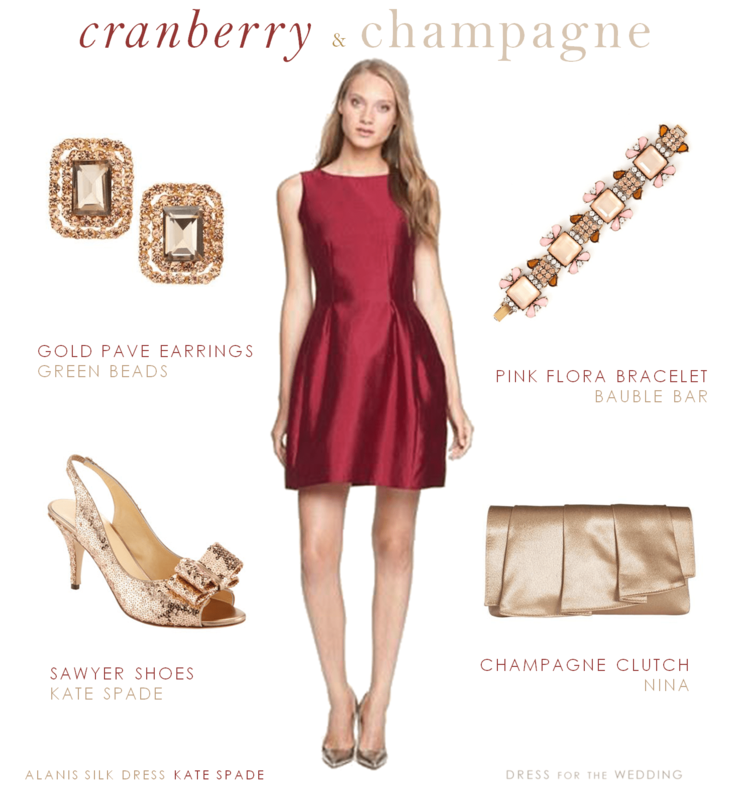 Choose accessories in gold or silver to match the accents on the dress and the shoes as well. 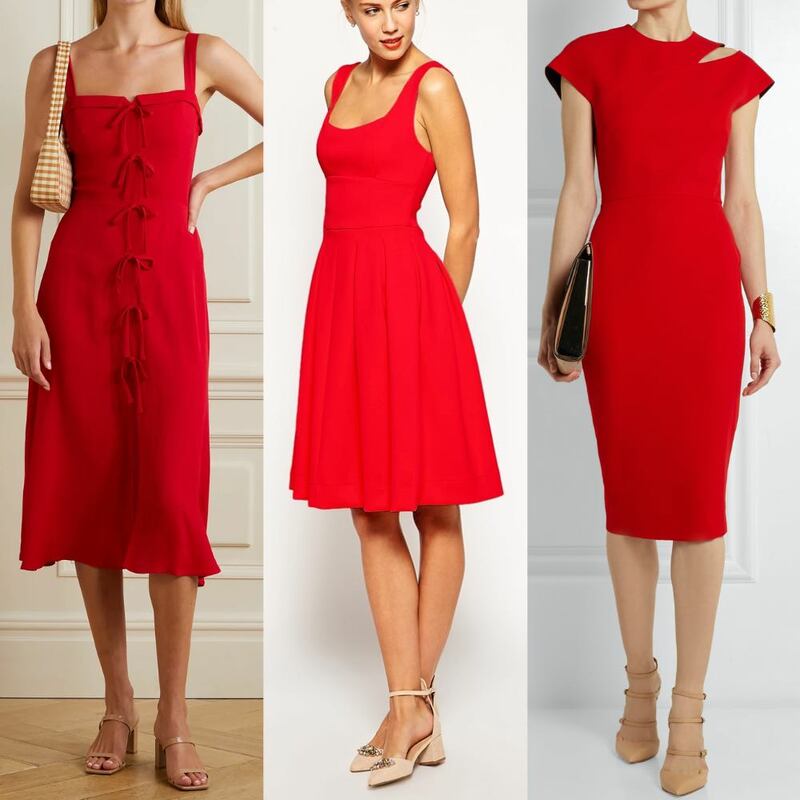 If you want a cheap cocktail dress go to Forever21. You will be surprised but the store is full of surprises even if you are way over 21 years old. 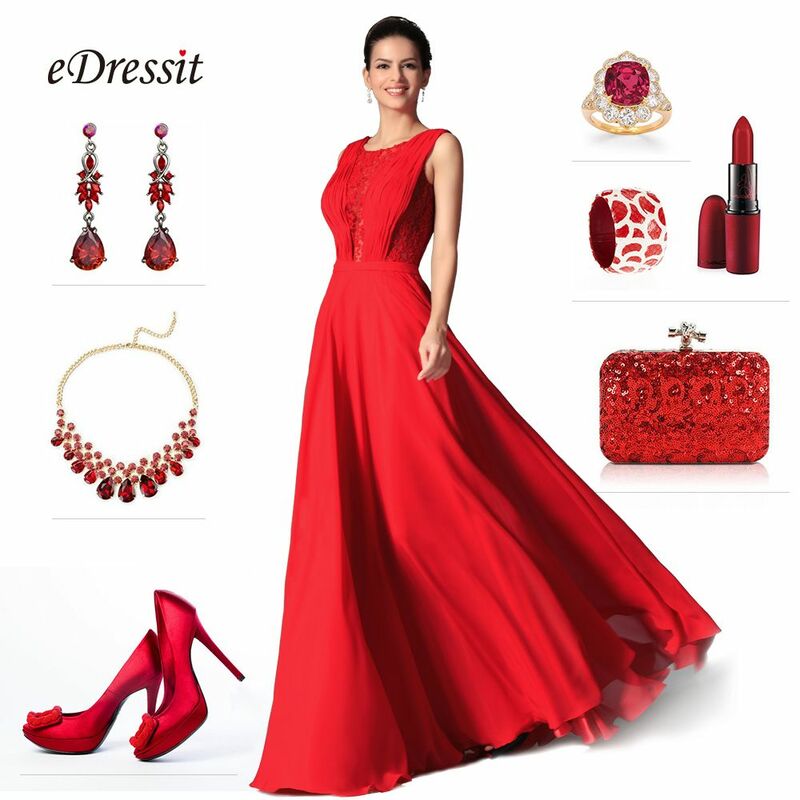 Some accessories to go with that red dress!